Wish you could display your photos in their full-sized beauty on Instagram? Although iPhones offer a square shooting mode for Instagram addicts, not every photograph looks great in that aspect ratio. A shot of a waterfall might fit best into a vertical frame, while a landscape scene always looks better in landscape view. Some Instagram clients such as #NoCrop allow you to upload horizontal or vertical photos, but that reduces their size. Now you can use the grid view on your Instagram timeline to upload stunning, high-resolution pictures. New to Instagram? Here are a few great tips for Instagram newbies New To Instagram? Top Tips For Newbies New To Instagram? 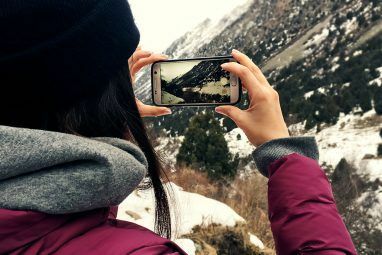 Top Tips For Newbies When you’re getting started on Instagram, there are a few tips and tricks to bear in mind to make sure that you hit the ground running. The popular app is part photo-sharing site and part... Read More . Instagrids is an app that breaks your large images into several parts to beautify your timeline. It lets you choose from three grid sizes (3,6 or 9 parts), so pick the one that best suits your picture. Then select a picture and you’re ready to upload. Instagrids has a helpful prompt that shows you the order in which you need to upload photos for the desired effect. It also highlights the images that have been uploaded to avoid confusion. That said, you’ll have to upload each image manually. 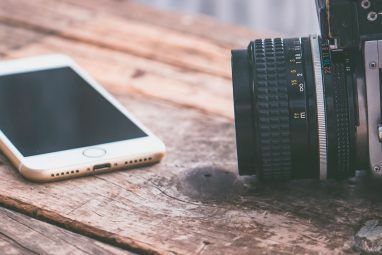 This restriction comes from Instagram itself, as Yaara wrote in her article about two great Instagram clients 5 Additional Instagram Apps Everyone Should Be Using 5 Additional Instagram Apps Everyone Should Be Using It turns out there are other Instagram apps out there, and they're good. Read More . With Instagrids, if you settle for a grid with 3 or 6 photos, manual uploading will be easy. Uploading 9-image grids is cumbersome, but the result might just be stunning. Instagrids is free with advertising. 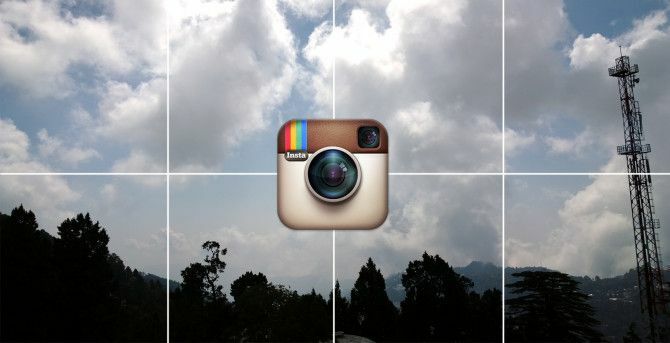 An Instagrids logo is placed on one picture in your grid if you use the free version. However, annoying pop-up advertisements harm user experience. You can get rid of these with a $0.99 in-app purchase. The app adds a caption with “#Instagrids” in each photo. You might want to use the hashtag to look for other Instagrids users. If you don’t understand the hashtags people use on Instagram, take a look at our complete guide to cryptic Instagram hashtags The Complete Guide To Cryptic Instagram Hashtags No One Understands The Complete Guide To Cryptic Instagram Hashtags No One Understands #instagood, #l4l, #f4f, #photooftheday, #igers… what's up with all these hashtags? The least you can do to ease your suffering is to learn what all these hashtags mean. Read More . If ease of use is Instagrids’ forte, customisation is nSquares’ strength. This app allows you to choose from 30 different grid layouts for your photos. You’ll find a lot of variation among layouts, too. nSquares lets you divide your photo in up to 12 parts. Some of its grids allow you to add up to three different images, which can be aligned creatively (T- and L-shaped images are supported). nSquares also allows you to add a background colour if your image doesn’t fit the grid. There are three ways to go about uploading photos using nSquares. 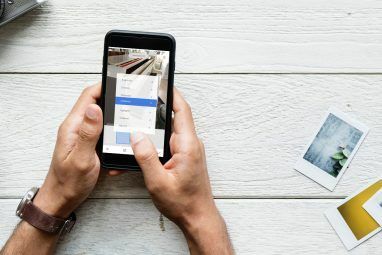 You can either save all parts as one image, save all parts to your photo stream and upload manually, or upload one-by-one to Instagram using nSquares. You can upload all parts as one image for horizontal or vertical pictures that you don’t fancy cropping. If you save all parts and upload them yourself, you are likely to get the order wrong (see image above). Uploading one-by-one using the app’s “Open in Instagram” feature is the best choice, as the app highlights photos which have been uploaded. nSquares’ free version only allows you access to three basic grid layouts, and you’ll have to shell out $1.99 to remove advertisements and use all features. 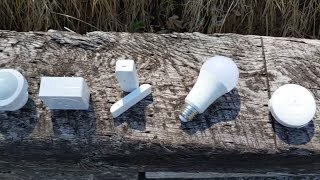 Instatiling and nSquares have been created by the same developer. Instatiling is a paid app ($0.99) which has almost all of nSquares’ features for half the price. You might take a little more time to get the hang of Instatiling, but once you do, you will see that it is easy to use. Instatiling shows you a 12-tile grid when you first open it. Tap any tile and open your photo. You will notice that the photo is slightly transparent. This is the stage where you can move, resize and crop your picture. Once you have placed the image as you like, tap the tiles that contain the picture to lock it in place. You’ll notice that the image is no longer greyed out. Tap free tiles to add more images if you want to. If not, tap crop and then export. Instatiling has the same upload options as nSquares. Once again, the best option is to open pictures in Instagram and upload one at a time. If your upload speed is slow, wait for each image to finish uploading before moving on to the next one. As you can see in the image above, I tried to rush and regretted it. While uploading two pictures at once, the second one finished uploading before the first, resulting in an error. Grids are just one way of expressing your creativity on Instagram. It is important to choose images wisely because it takes some effort to spruce up your timeline. The effect won’t last forever, unless you upload images in batches of three. We also tested PicSlit but it needs an update to fix interface issues and hasn’t been updated since July 2013, so steer clear of it. For more creative pictures, take a look at seven photography projects that could change the way you look at selfies 7 Photography Projects That Could Change The Way You Look At Selfies 7 Photography Projects That Could Change The Way You Look At Selfies If you do it right, the selfie is elevated to the high art of self-portraiture. These seven creative photography projects could inspire you to think out of the box. Read More . Have you tried any of these apps enhance your Instagram timeline? Drop a comment to let us know. Explore more about: Instagram, iPhoneography, Smartphone Photography. Which iPad Should You Buy? Find the Best iPad for YouAvengers (And Bugs) Assemble in Marvel’s Run Jump Smash! I have a question - the slit images look awesome on profile page, but how to upload 9 images on instagram without irritating followers AND use the hashtags to get people to check out the profile for a full 9-square image? You know what I mean? I don't want to start doing this without knowing how to properly do it. Also, if there an app that does what Casey McPerry does? That's what I'd definitely love to do ! !